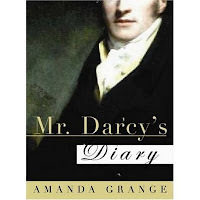 I used to think that there is no other in the world like Mr. Fitzwilliam Darcy. I've always been jealous of Elizabeth (the actor and the character) for having him to herself, as he loved her wholeheartedly and fervently. I have seen the BBC 1995 series of Pride and Prejudice, and I must say, Colin Firth and Jennifer Ehle are perfect for their roles, and that show was done beautifully. It was very well-adapted, very much like the book, which satisfied a lot of Ms. Austen's fans. Although, I have seen the 2005 version first with Matthew MacFadyen and Keira Knightley, and I have to say, I like it as well, for it was the first I've seen and then I had the chance to read the book. Honestly, I liked these two versions, and I don't want to choose one for a favorite for I really did like these adaptations and I could see them all over again sometime in the future. And I would love to take a glimpse on what's going on in Darcy's head, just to see how much of Elizabeth-meter its filled with (okay, bad joke. didn't make sense. that was just random). Thankfully, Amanda Grange came up with that idea first before I though about it, and expect this blog to have a say on that book in the future. Given the time and a broader knowledge on words, I might be able to write some more about this period drama and do justice on Austen's famous work like the other adaptations. The movie is almost two hours, not enough to fit Austen's wise words; but enough to satisfy an individual. For a fan though, for someone who loved every part of the book, I'm afraid they might be disappointed with some of the changes that Director Joe Wright made. And yes, the movie completely deviated from the book, starting with the costumes up to the characters and most especially the plot. But I find nothing wrong with the direction and the music, for they were just right which added more artistry in the movie adaptation. Keira Knightley as Elizabeth Bennet wasn't bad either; although, I think I'm just being biased as I liked her a lot as the other Elizabeth, the commodore's daughter and a pirate's lover. She played it well, I think, and she deserves to be Ms. Bennet as she is pretty, but not more than Jane, who was very lovely. Knightley's portrayal has made me attached with Eliza Bennet, which urged me to read the book. 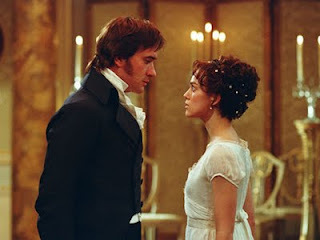 Matthew MacFadyen wasn't bad either; he played the brooding and sensitive Darcy. And it was through his eyes (and acting) that I became a Darcy and a MacFadyen fangirl. But I'm biased, so I still choose Mr. Darcy. As for the BBC series starring Colin Firth and Jennifer Ehle, I think it was made very well if you base it on the book. This was directed by Simon Langton and screenplay by Andrew Davies and was aired in 1995. Not every part was portrayed, obviously, for they only had 6 hours to televise. It was worth watching all the episodes, and you can really feel that they conveyed all the right emotions needed for the film and for their characters. The other supporting characters were played well, and the shots and places that they used were beautiful. I think Firth and Ehle had the Liz and Darcy chemistry needed in order for their partnership to work. And their relationship was more like in the book, indifferent and prideful at first, and grew an admiration as time went by. It was seen well in the series, and if I'm not mistaken (and please do take this with a grain of salt if you didn't know), that they became a couple through this series. Isn't that nice, eh? Oh, as I watch this series over and over again, I must admit that this is the show where I fell in love with the character (in this case, Mr. Darcy), and not the actor. Not that I have anything against Colin Firth, I mean, I think he's a really good actor and he is Mr. Darcy, but I just don't really like him in the way that I love the character. In the future though if I would be given more time, I might just make a summary of this show, like a drama recap, and give it a try. I've always wanted to try it and see how well I do, and I hope I will give justice to one of Austen's most famous work. I know that there are other adaptations of P&P that were made in the past, but I haven't seen them all yet so I still can't say anything about them. But don't you just love it when you watch these different adaptations that you can't help but grab your copy and read a certain chapter and remind yourself of it? I think Jane Austen is and will always be one of the greatest writers in history. Just imagine, two centuries have passed and she's still known by most people. By the way, if you're an Austen fan and familiar with most of her works, you can visit this blog and go back to where everything first started—Jane Austen's works, from a modern-day woman's point of view.